I have an iMac as well 10.8.? I have a Hackintosh running OS X Mountain Lion. My preference would be to play with a Mac client. But I can boot into Windows if I really have to. Fighting crime and suppressing evil. I have a 2007 iMac. If it makes you guys feel better I am all Mac. I am mixing and recording on my macbook pro (10.7). Is there any postulated minimum spec for a mac to run the client? Count my wife and I on this list. We are kind of tired of only being able to play WoW together. It works, but it doesn't work particularly well. My computer wasn't top of the line even when new, but it's reasonably recent, reasonably fast, and has a reasonable amount of memory (10.6.3, 2 GB RAM, 2.13 Dual-core processor)... and, while CoH ran at full speed with the settings turned down a bit, CO (even with the settings turned down all the way) often runs unreasonably slow, with framerates measured in seconds-per-frame rather than frames-per-second. Actually, I have found CO all but unplayable since a few months ago. Something in an update seriously doesn't jive with the wrapper. STO is much better, but the textures do tend to occasionally de-rez on you. It actually impressed me by how much better it acted than CO in a wrapper. I'll likely still be on a Mac when this comes out, but definitely not my current machine (which I really should replace soon). Right now I have a 15" Retina MacBook Pro (2012) updated to 10.9. I have Parallels, but I'd prefer to play with a native Mac client. Edit: The other Macs in my possession are changing frequently, as I restore/upgrade/sell. I have a 27" iMac (mid 2010) running OS X version 10.8.5. I'm hoping we'll get a native version of City of Titans as the various Windows2Mac emulators always seem to be a bit on the buggy side. I have both windows and Mac. I have both windows and Mac. My Mac is mountain lion and my pc is fairly new and will run skyrim with over 30 mods so it does just fine. Coming to you live from a 2009 MacBook Pro, running the latest OS. Happy to help in whatever way I can (especially now that we'll have a version at launch!). Just wanted to pop back in and say Congratz! We Mac-olytes are in at the start thanks to all of you Titans out there. Linux is not completely off the table. There has been discussion, but it will not be supported for at least the first few issues I imagine. I'm sure a wine port may be looked at. I am not on the Tech team however, so take that with a large rock of salt. Don't rez me, I die on purpose! Late 2011 iMac. 10.8.5. Can't wait for Mavericks. My apologies if this is a double post. First post on the forums. Buy me a beer and I'll talk you ear off. Call me Gimli and I'll break your knees. I think its a great idea, personally I'm thrilled the Mac version is going out at launch (hit goal of 450,000). I have a mac and would love to help out in any way possible. I have a Macbook Pro 17"
Late 2009 MacBook Pro running 10.9. I also do tech support for Apple. Lin Chiao Feng: MBA (Haswell) & Early 2008 Mac Pro w/ recent ATI board. 10.8.x; MBA will be upgraded to 10.9 eventually, not sure if MP will. Also have a couple Gentoo Linux boxes to test on. Retina Macbook Pro, 13-inch, Late 2012, running Mavericks. Glad to see so many Mac users coming together. Count me as also hoping for a native Mac client! Has the top plastic turned yellow? MacBook Pro and iMac on latest IOS. 2010ish models. You all will be my saviors when the bugs show up. No pressure. Just to reiterate.. we're talking CROSS PLATFORM play right? Using the same server? Not like PS4 vs PC in DC Universe.. right? One server ... many clients. Late 2013 MBP here, also got a PC sitting around if all else fails though! I have a Mac as well, late 2013 desktop. The games I already play are so smooth and fluid (The Sims, SimCity), I'd be extremely happy to have a Mac version. With any luck, I'll be getting a new computer sometime in the next couple of months. It will also be a Mac laptop (most likely Quad-core, since this time I am going for a top-of-the-line model), running whatever is newest at the time. I'll be available for testing (or even coding) as well. Edit on 4/22/2014: Looks like I have to put off the new computer until the end of the year. Still... when I get it, it'll be goooooood. And it'll be a Mac. Mac Pro - Early 2008 Vintage. nothing fancy, but thought i'd better chime in, mac mini (i5 version, mavericks). 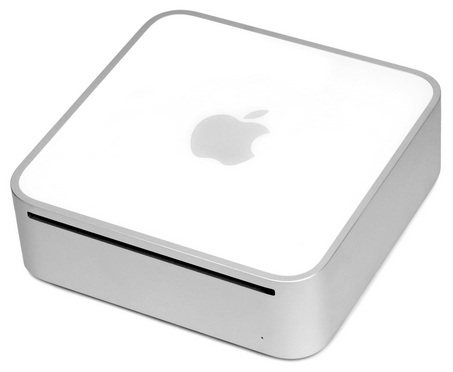 As my old PC died I'm now running on a Mac mini, but by the time the fun starts I should have a Mac Pro. Macbook Air here (Summer 2013). Haswell 128 gb and 4 gb of ram. Wait, champions will run on mac?? I looked the at their website the other day and it seemed to only support windows. I run IMAC w/ 10.8.5 I'm not upgrading to Mavericks or Yosemite. I'll hop on the update after. My husband is going to Yosemite soon. We play as a duo. I have a PC with windows 7. he does not have a PC. The line between knowing and understanding is often blurred. 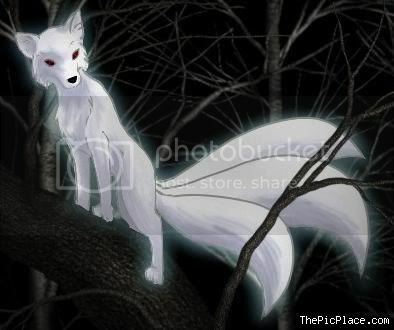 Cute Kitsune the Anti Villain of Phoenix Rising. It applies here too, I'm passionate not hostile. iMac 27 inch with 16 gig ram and intel chip and Windows 7. Hello fellow macoids. As far as I know (I am not on the tech, UI or gameplay teams) keys should all be programmable much like CoH's were. At least that is the goal. Two Macbook Pros running Sierra here! Whee! I am unfortunately stuck in Lion until I can afford to upgrade my audio programs. Still have a Mac, but it's a new Quad-core i7 running MacOS 10.10. Mmmm, shiny. Just an FYI. Star Trek Online now has a Mac client. Known Paragonians are working on it (I believe someone named Matt or something ;) ). There was also a fleet of CoX peeps around. I've an original Macbook Air. Yeah, I'm on a 2010 Macbook Pro now, but my Powerbook G4 ran CoH ok. Few probs with blooms and very large groups, but good enough for me. I'm not sure what our ending specs will be. I do know that I can use UE4's engine on this machine if I upgrade my OS (on Lion still for my audio programs). If I could make the game on this machine, it looks promising. Both my kids also played CoX (and plan on playing CoT) using a new Mac Mini and a Macbook Pro 13" Late 2011. The 13" will likely be replaced before CoT comes out, and possibly the 15". Most likely the 15" will roll over to my son and I'll have something newer. MacBook Pro 13.3 (Late 2013) and a Mac Mini (Mid 2014), both dual core i5 and both with 16GB of ram. Both running Yosemite. I would love for this to be on a Mac. I have a MacBook Pro running Yosemite and a Windows Desktop running 8.1. Looking forward to be able to play CoT on both! I'm sporting a 27" iMac, late 2013 version, with the Nvidia GTX 775M graphics chip. Running Yosemite. I am new here (this is my first post, as a matter of fact) but I do plan to follow the development of this game and hopefully play it one day, as well. I use an early 2015 Macbook w/ 8 GB ram.